MAX-PAK Vertical Balers are known for their tireless work ethic…year after year. 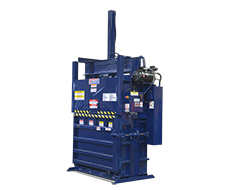 With 13 different models to choose from, MAX-PAK has a Vertical baler that will fit your budget, space requirements and recycling needs…for many years to come. 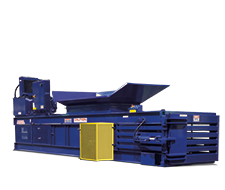 MAX-PAK is a world leader in Horizontal Balers, with machines designed for total automation, economy models for baling only cardboard, and high production machines that can bale multiple materials with no advance preparation. Nobody builds a better foam baler than MAX-PAK. 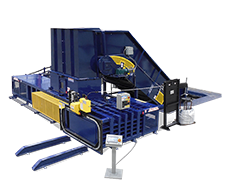 Designed from the ground up for the unique challenge of baling high memory materials, MAX-PAK ‘F’ Series balers will out perform even balers that cost significantly more. The MAX-PAK Two-Ram Baler is for those demanding applications that require versatility and maximum production. The Two-Ram can switch from OCC to shredded paper, to aluminum cans, to P.E.T. and back to OCC without missing a beat…delivering uniform bales with integrity, time after time, bale after bale. Call 1-800-225-6458 to find a dealer! 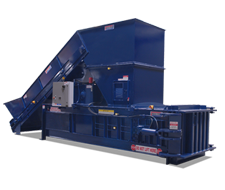 MAX-PAK Balers have been making quality balers & compactors for the waste industry since 1976. Our balers are built to perform and built to last.